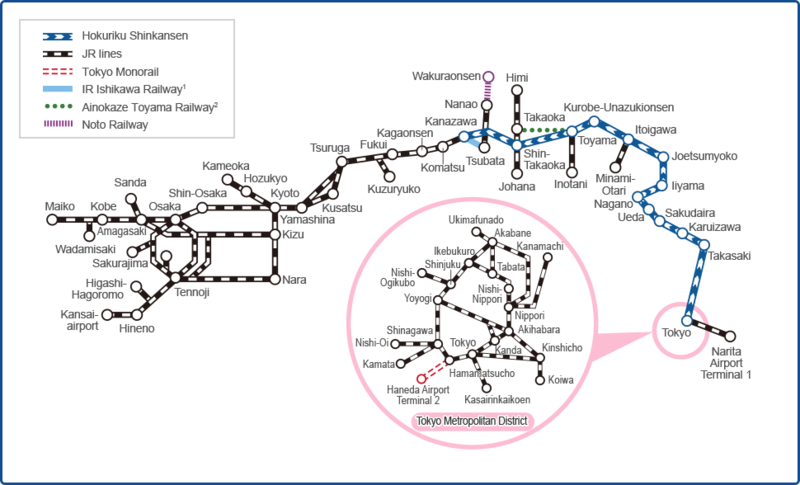 -Rapid Service & Local Trains จาก Kansai Airport ไปยัง Osaka, Kyoto, Kobe, Nara, Himeji, Wakayama, Shiga, Tsuruga and Iga-Ueno. 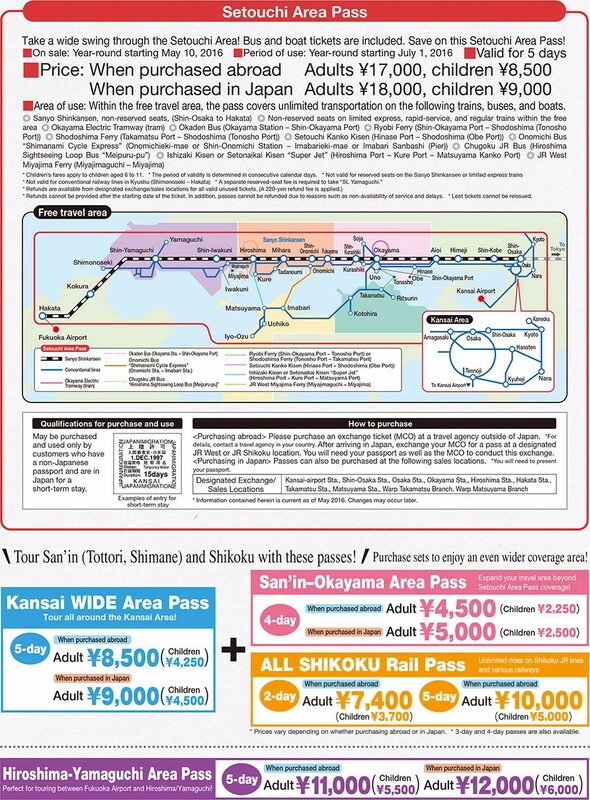 -The Limited Express, Rapid Service and Local Trains จาก Kansai Airport ไปยัง Okayama, Kurashiki, Shirahama, Kinosaki Onsen และ Takamatsu รวมทั้ง Kansai Area. 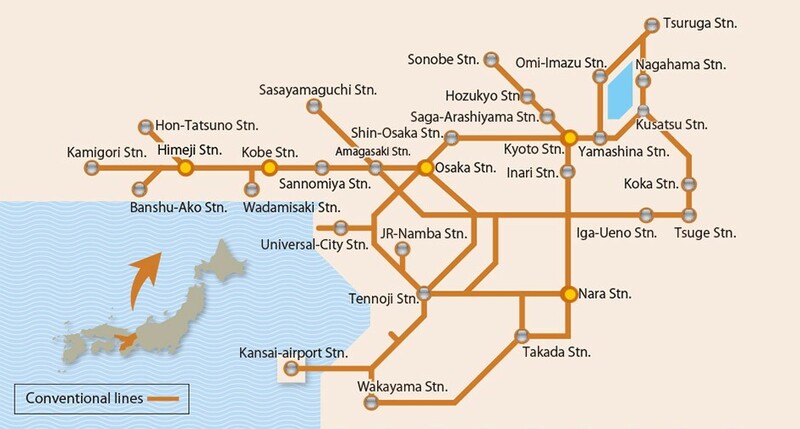 -The Limited Express, Rapid Service และ Local Trains และ the JR-West Miyajima Ferry จาก Kansai Airport ไปยัง Hiroshima, Okayama และ Takamatsu รวมทั้ง Kansai Area. 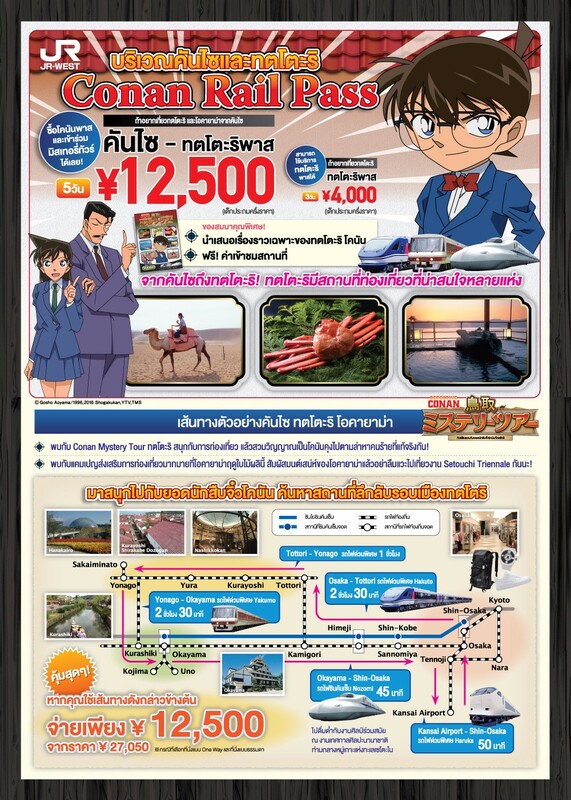 -The Limited Express with reserved seats, Rapid Service and Local Trains (รวม Chizu Express line) and the JR-West Miyajima Ferry จาก Kansai Airport ไปยัง Sanyo, San’in (5 prefectures in Chugoku) and Takamatsu รวมทั้ง Kansai Area. -The Hokuriku Shinkansen and Limited Express, Rapid Service and Local Trains จาก Kansai Airport ไปยัง the Hokuriku Area รวมทั้ง Kansai Area. -The Hokuriku Shinkansen and Limited Express, Rapid Service and Local Trains. -The Limited Express, Rapid Service and Local Trains, and the Chizu Express Trains จาก Kansai Airport and Kansai WIDE Area Pass. -The Sanyo Shinkansen (ระหว่าง Hakata และ Mihara), non-reserved seats on the Limited Express, Rapid Service and Local Trains, and the JR-West Miyajima Ferry.